There are many unsung heroes at a football club, but in many cases, some more so than others. The one job I couldn’t do, not just because of a sheer lack of competence, but also because of the seemingly constant uphill battle you face due to so many uncontrollable variables is that of Groundsman. The job of non-league Groundsman is a thankless task, an unenviable task, and at times, an impossible task. You can’t control the weather, you can’t dictate who plays on your pitch and when, and you can’t control the decisions of a referee. You are also limited by the tools and expenditure available to you, and indeed the level of support and co-operation you get from your club. 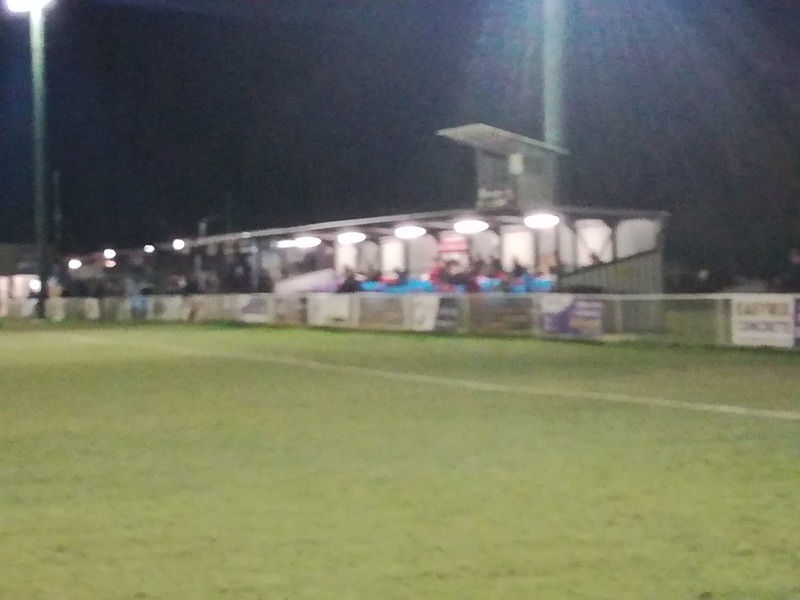 I’d got Welwyn Garden City on the radar, they look favourites to win the Spartan South Midlands League and as a result they’ll be at Step 4 next season, quite possibly in the new Central League. I was working in Milton Keynes, and with it only being an hour away, it seemed the perfect opportunity. Ok, overnight conditions had not been ideal, it was frosty and the ground was hard in places, but with a sunny day forecast I was kind of hoping it would be enough to life the frost and the game would be on. 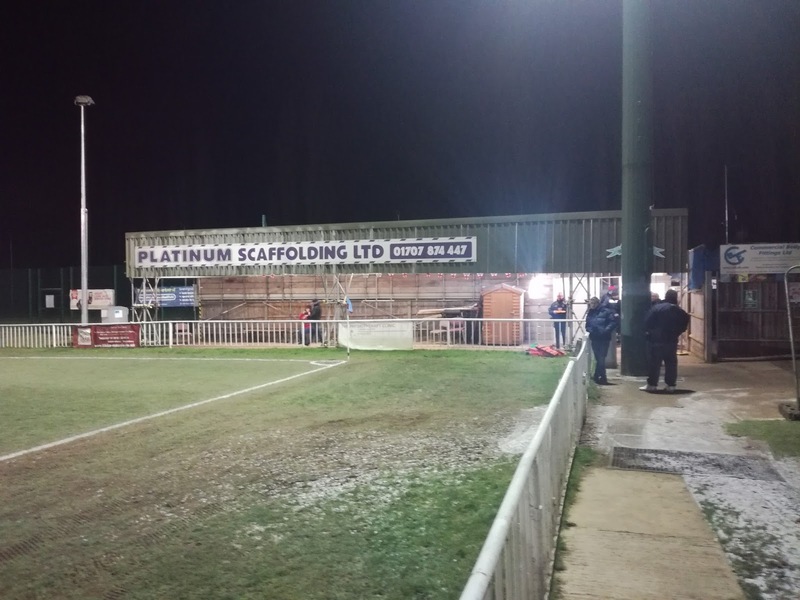 A tweet came through from the club at around 4.45pm, the game was on, and a big well done was offered to Groundsman Tony Attfield for his work to get the pitch ready. 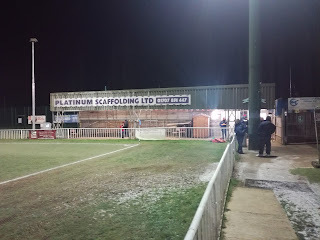 But, it came to light when I arrived at the Herns Way ground, Tony had gone very much above and beyond, it wasn’t simply a case of praying for it to warm up! We all know what happens then, you are typically arriving in the car park only to see players getting in their cars and driving away, it’s off. Lets be honest as well, particularly with midweek games, it’s only going to get colder as the sun sets, so inevitably conditions are bound to deteriorate, aren’t they? It Was Cold - My Hand Was Shaking - But It's The Best I've Got! The other one that gets right on my breasticles is when the local ref says it’s fine, and then the match ref is having none of it. I’ve had this happen three times at Shepshed Dynamo, I did suggest on the third occasion as I was collecting my refund that they perhaps find a more competent local referee, because the trend suggests that’s where the problem lies? 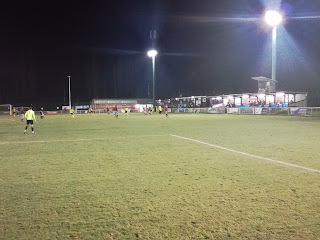 Anyway, rant and digression aside, I travelled more in hope than expectation, and that by the way is not meant to a dig at Welwyn Garden City FC or indeed Tony, so when I arrived it was an immediate beeline to pitch side where I saw Tony just finishing off marking the pitch. But, he cleared the snow, rolled it, mowed it, rolled it again, and then dressed it. That had taken him all day, just so they could play the game against Crawley Green. I did ask the obvious question about deteriorating conditions, but he’d seen the forecast and was unconcerned about the pitch hardening up to a point where it would become unplayable, that was clearly down to his experience and knowledge of the ground and its surroundings. 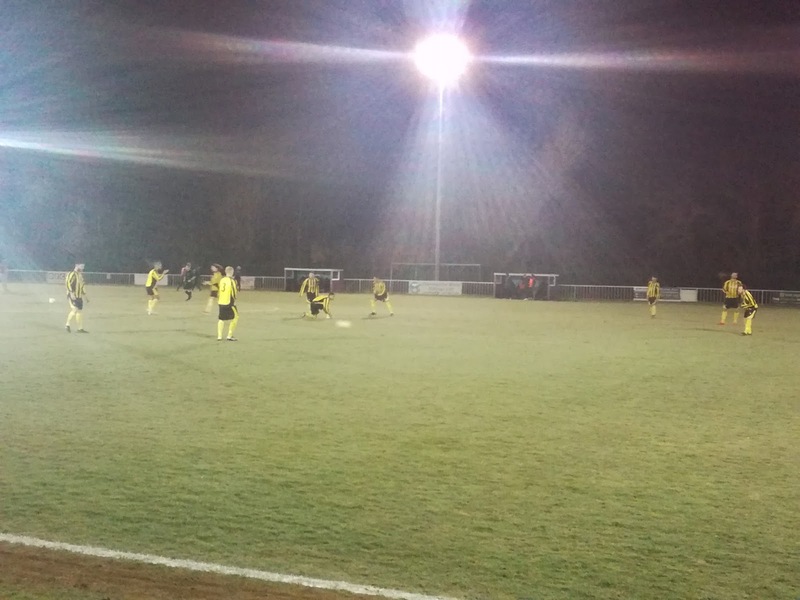 Welwyn Garden City have lost just one league game all season and are very well placed, especially after a stunning 4-0 victory at nearest challengers Berkhamsted last Saturday. Barring a disaster, particularly as it’s highly likely two clubs will go up, they will be promoted! Herns Way is a tidy little ground. 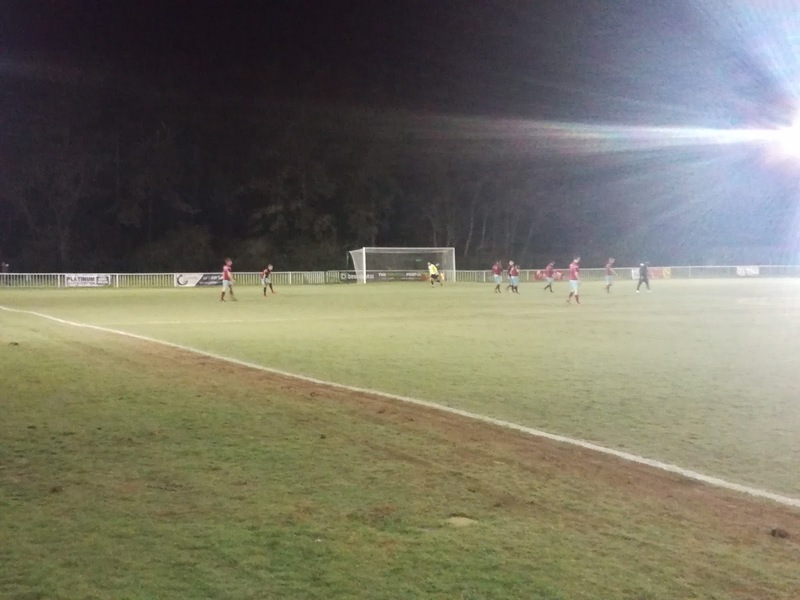 Located to the East of the centre of the Hertfordshire New Town, a small car park sits adjacent to a floodlit all weather pitch, while on the main road side is the clubhouse, which appears to be more of a community facility, and also the tea bar and dressing rooms. A small seated stand sits on the half way line, while a further area of cover spreads between the corner flag and the edge of the penalty area at the car park end of the ground. It has hard standing all around, and is also enclosed by greenery, giving it a rural feel. It became clear when I went into the clubhouse what a friendly club WGC are, my ‘non-local’ accent was soon picked up on and numerous officials and supporters were keen to know why I had chosen to visit their club. 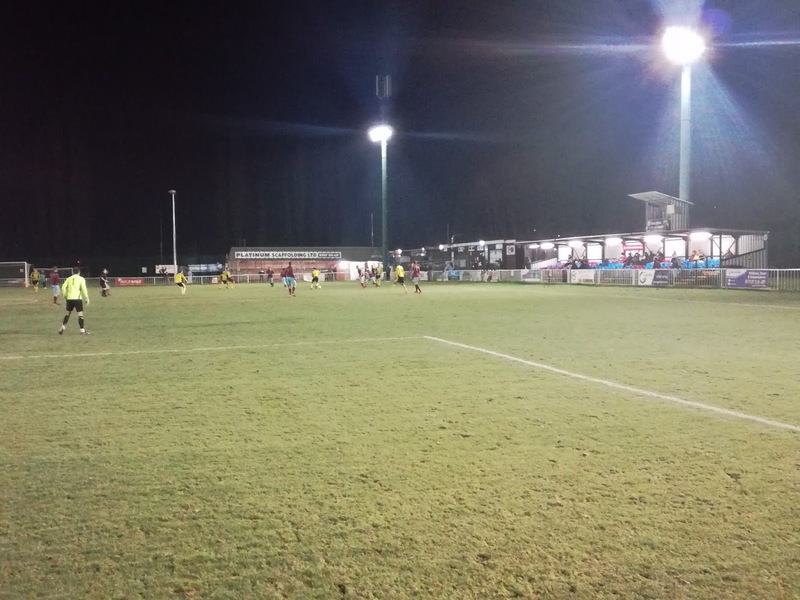 That doesn’t happen too often in the non-league game, so it’s nice when it does, and of course it guarantees you a positive write up in the blog! 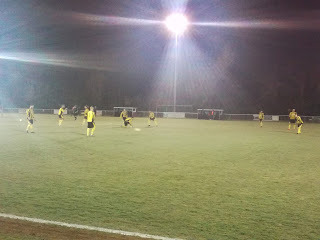 On the field, the opponents who play at Barton-Le-Clay sat in the relegation places, and by half time they were 2-0 down to a confident home team. 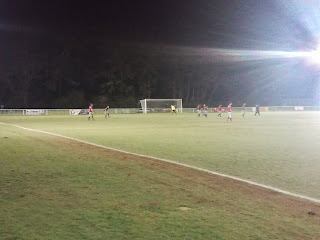 It could have been more, but the hosts had to settle for two goals from Dan Bond, both taken very well I might add. Crawley Green upped the ante in the second period, and without ever really threatening to take anything from the game, they did become more competitive and at times were in the faces of Garden City. The home team did have a couple of chances to increase their lead, but with a 2-0 lead and an organised defensive unit, it was more of a case seeing the game out from a winning position. Without jinxing them, they’ll win the league, and they’ll be more than competitive at the next step, so very good luck to them. So, that pitch, how did it hold up? Well, it did get firmer, but no one slipped over, players could still run at full pace, stop and turn without problems. Slide tackles could be made, and the ball ran true. It did cut up a little in places, but that was to be expected. Tony had called it spot on, and perhaps the best place to conclude my blog is by recalling a brief exchange at half time. Tony was having a cuppa when someone walked over to him, shook his hand and congratulated him on his fabulous work getting the pitch ready, again. It’s that kind of praise that will ensure people like Tony continue to work miracles to ensure the game that we love happens, week in, week out, and the players can provide us with the entertainment we crave, on a surface that is befitting. I hope someone bought him a pint after the game.